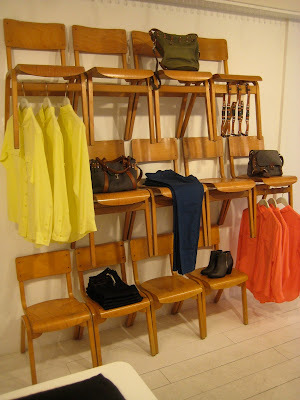 We love these new installations at Whistles right now. Who would have thought that this brand would be so bold and quite honestly - fun. There's an ever so slight whiff of Urban Outfitters meets Topshop, but who cares, this brand is starting to look cool again and that's what counts. We're not sure who this brand target (well, actually don't like to say who we think their aiming at), but that really doesn't matter at least to us viewing this on the visual elements here. We think this would raise a smile in any shopper, and lets be honest a bit of "shoppertainment" never killed anyone - did it? In fact, if anything this would draw in any savvy shopper even just to take a look and rediscover this brand without alienating them. So get out there and take a look for yourself and just enjoy.